For an effective low foam wash that won’t damage your dishes, try this luscious lavender washing up liquid from Bio D. Using pure lavender oil, this liquid leaves behind a subtle, yet delightful fragrance This liquid is superb when it comes to cutting through stubborn burnt-on stains and grease. You don’t need much to provide a thorough cleaning; just a few teaspoons to rid your dishes of dirt. Bio D achieve this with the use of safe and natural ingredients; leaving out chlorine bleaches, phosphates, petroleum-derived additives and other harsh chemicals. 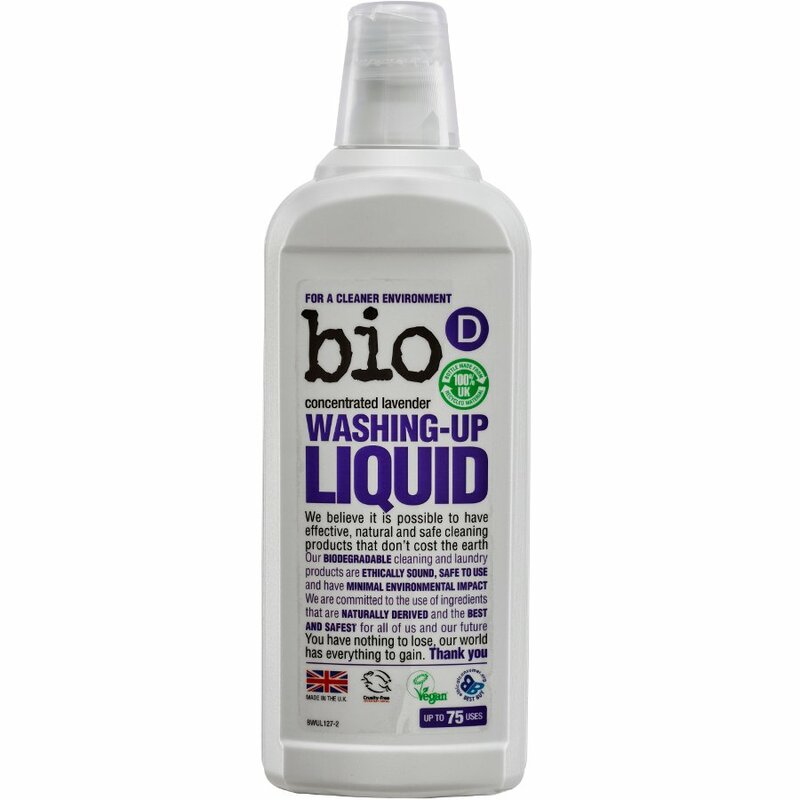 The Bio-D Washing up Liquid - Lavender - 750ml product ethics are indicated below. To learn more about these product ethics and to see related products, follow the links below. This is a product I have been using for years and I will keep using. Cleans wonderfully, smells nice. It is vegan, biodegradable, without harmful chemicals. I wish they could make 5 lt lavender scented too. Works really well and smells lovely.